Tariq Ahmed Dar was not as lucky as two other co-accused, who were acquitted in the 2005 Delhi serial blasts case, as a court here awarded him 10 years in jail for being a member of Lashkar-e-Tayyaba despite absolving him of the key charge of conspiring to trigger the bombings. Additional Sessions Judge Reetesh Singh acquitted Dar of the charges of conspiracy to wage a war against the government by carrying out the blasts. However, he was convicted and awarded the jail term for the offence punishable under Section 38 (being the member of a terror organisation) and Section 39 (giving support to such outfit) of the Unlawful Activities Prevention Act, the charges which were not framed by the court at the outset. “In the absence of any evidence regarding Dar being involved in the conspiracy behind these blasts, none of the charges framed against him are made out,” the court said. However, it said that ‘even though no charge was framed against Dar for the offences under sections 38 and 39 of UAPA, the ingredients of the offences (38 and 39 UAPA) are very much made out’. "Hence for the reasons recorded above, Dar is found guilty of the offences under section 38 and 39 of the UAPA," it said. However, considering the view that Dar has already been in jail for over 11 years, the court made it clear that he will not have to face any further jail term for the offence he was held guilty of. There is one more case filed by Enforcement Directorate against Dar for the alleged money laundering in which the court is likely to pronounce order on his bail plea on Monday. 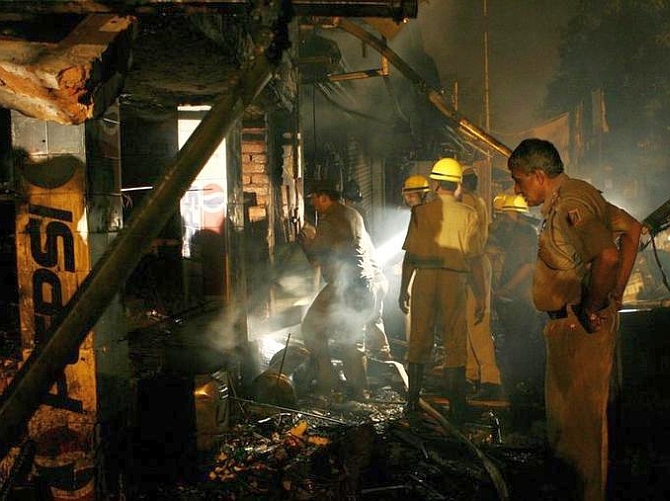 The serial blasts at Sarojini Nagar, Paharganj and Kalkaji on October 29, 2005 claimed 67 lives and injured over 225 persons. The other two co-accused -- Mohd Rafiq Shah and Mohd Hussain Fazili – were acquitted of all charges by the court which said that the special cell of the Delhi Police had ‘miserably failed’ to prove the charges against them.